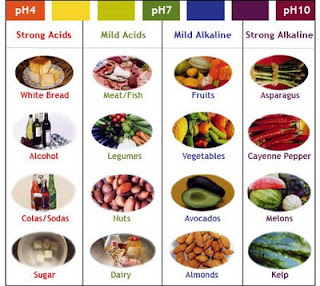 Acid & Alkaline: How's Your pH? "An acidic body can lead to all sorts of problems including, but not limited to: it can increase stomach upset, lead to a lack of proper absorption of food, increase the chances of kidney and gall stones, decrease the amount of oxygen the body uses, and can even lead to a worsening of preexisting arthritis symptoms. Some even theorize that having an acidic body can even lead to cancer or instigate anemia and the resulting fatigue." The largest contributing factor to the acid/alkaline balance in your body is the food that you eat. In addition to your diet, there are a few herbal remedies that can really help an acidic system. Enzyme combinations like Food Enzymes and Proactazyme are essential for breaking down (especially high processed/acidic) foods into a usable form. Marshmallow Root is great for digestion and stomach trouble because it has a great demulcent (soothing, anti-inflammatory) effect. And for the times when you just aren't able to get enough green, alkalizing foods in your diet, Liquid Chlorophyll and Ultimate GreenZone are wonderful substitutes. So, how are you measuring up this week? 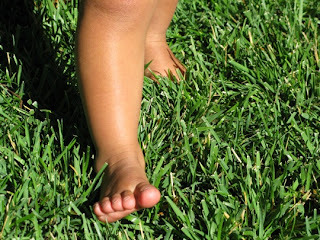 School's out and playing outside is everyone's first choice! Always, always, always put sun screen on everyone, everywhere! 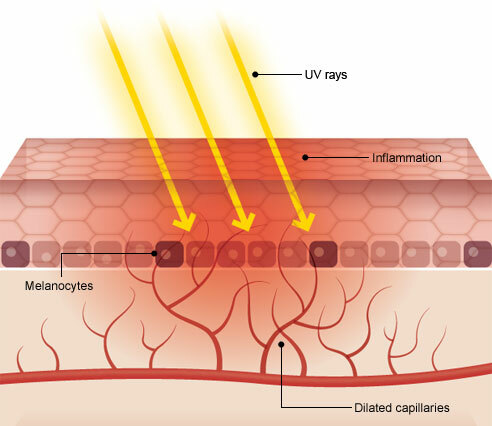 The sun emits two strong ultraviolet rays called UVA and UVB rays. 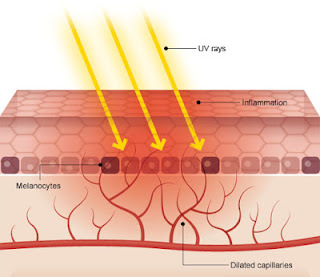 These harmful rays actually kill your skin cells. Your immune system is designed to get rid of these dead cells, so it increases blood flow to the burned area. This is the reason for the redness and warm sensations. Once the dead skin is removed, you are left with a darker color designed to prevent further sun damage. Though a tan is desirable to many people, the skin damage is not. In spite of those facts, it's likely that you or your child may experience a sunburn sometime this summer. If you do, here are some alternative health remedies that can help! Herbal Trim is a skin treatment containing aloe vera and other herbal remedies that usually stops pain immediately and nourishes the damaged skin. Combination Potassium and some form of vitamin C (like Citrus Bioflavenoids or Vitamin C Ascorbate) are important to take internally, especially with severe burns. These are usually depleted in the body after time spent in the heat and direct sun. Raw apple cider vinegar, directly on the burn or 2 cups mixed with 1 box of baking soda in a bath, is helpful for severe pain relief. Sunburns are not things to play around with so remember: Always wear sunscreen and always remedy and nourish sunburns! Who Are You Really Under All That Garbage? In our first hand experiences, the body, especially the immune system, behaves differently under varying circumstances. When your insides are fed lots of stress, very little sleep, not enough real food, toxins (aluminum, bleach, BPA, lawn chemicals, etc.) no exercise or a combination of all, the result is usually far different than a healthy, clean body with a well-fed immune system. If you suffer from chronic allergies or seem to be attacked by every bacteria or bug on the block, it's likely that you are suffering from a combination of these conditions in the body. If you've never experienced what it's like to be fed well, sleep enough, be relatively free of toxins, then you don't know what you're missing! More energy, less illness and often the decrease or elimination of smaller ailments like acne, body odor, weight gain and joint pain are some things you can begin to experience. As summer is fast approaching, make a commitment with yourself to try cleaning up house, so to speak. -Eat more real food (whole grains, fresh fruits and vegetables, locally raised meats) and cut out the white flour, sugar and fake processed foods. -Get enough sleep. Sleep is a cheap attitude adjustment! 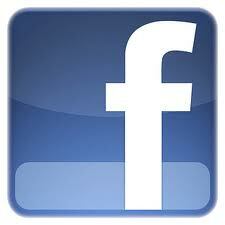 -Find ways to eliminate or cope with stress. Keep a journal. Make a weekly date with yourself. -Look for alternatives to aluminum, BPA and bleach in your cooking at home. -Exercise!! Do anything that gets your heart rate up, blood pumping and starts you sweating! This makes EVERYTHING work better. How much better would your life be with these few adjustments? Alfalfa has been cultivated for over 2,000 years as a nutritive food for people and livestock. Historically it has been used as a remedy for all types of inflammation including arthritis, gout and rheumatism. Modern herbalists consider it very rich in nutrients and use it to help build the blood. Alfalfa's roots grow deep, providing the plant with a rich source of nutrients not always found at the ground's surface. Alfalfa is also a great source of betaine, a digestive enzyme, that makes it a great digestive tonic, helping to improve digestion, assimilate nutrients and stimulate appetite. For this reason alfalfa has been shown to be helpful for treating anorexia, convalescence, debility, emaciation and weak digestion. 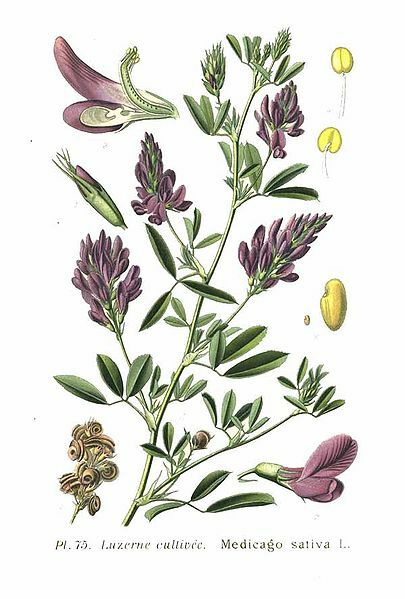 Alfalfa is not recommended for individuals with autoimmune disorders. Until changes become habits, they do your body very little good. A sustainable program, something you will continue for more than a week, is what brings abundant living. Too often, especially at the beginning of a new year, we vow to lose weight, exercise more, eat better, etc., but by March everything is forgotten. This year, why not choose a better road to personal success. No goal of better health can be achieved over night or with drastic changes that your body resists. Baby steps are steps just the same. Instead of changing everything this month, commit to just one. As you find small successes, continuing isn’t so hard. 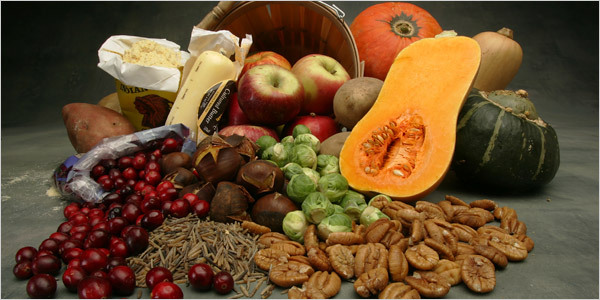 - Eat raw fruits or veggies with meals. - Exercise somehow every day. - Eat meals from home. Focus on one thing you CAN do and don’t get bogged down by the things you can’t. Doing any one of these consistently can bring drastic improvements! Krill oil is a source of highly bioavailable omega-3 fatty acids extracted from Antarctic krill (Euphausia superba) that contains phospholipids, which bind to the omega-3s allowing for better absorption. These phospholipids are an essential component of all cell membranes, keeping toxins out and letting more nutrients and oxygen in. Krill oil also contains natural astaxanthin, a powerful antioxidant, and NSP Krill Oil adds the cardiovascular benefits of vitamin K2. Helps maintains a healthy heart. Is extracted from Antarctic krill. Learn more about Antarctic Krill. A healthy cardiovascular system is essential for maintaining well-being and vitality. Cardio Assurance, Blood Pressurex and Super Omega-3 EPA provide healthful benefits. issues.) Resveratrol may help inhibit platelet aggregation and promotes vasorelaxation.7-8 Vitamin K2 supports circulation already within a normal range by helping to keep the arteries clear. This important nutrient has emerged as a key factor in regulating calcium in the body. Adequate vitamin K2 consumption helps keep calcium out of the arteries and in the bones where it belongs. causes. Blood Pressurex targets many underlying causes to provide maximum support. convenient way to meet your daily omega-3 fish oil needs. Comprehensive Database. 8th ed. Stockton, CA: Therapeutic Research Faculty; 2006:pg 351. Comprehensive Database. 8th ed. Stockton, CA: Therapeutic Research Faculty; 2006:pg 350.
hawthorn extract in rat mesenteric artery. Life Sci. 1998 63(22):1983-91. 6. Schussler M Holzl J Fricke U. Myocardial effects of flavonoids from Crataegus species. In: Arzneimittelforschung. activity of synthetic and natural resveratrol in red wine. Int J Tissue React. 1995;17(1):1-3.
differs in the mesenteric resistance arteries of lean and obese rats. Clin Sci (Lond) 2001;100(1):55-60.
forskolin derivative, in smooth muscle of the porcine coronary artery. Circulation Research, Vol 71, 70-81.
protective action. Arzneim-Forsch./ Drug Res. 44:592-601.
reinfarction: diet and reinfarction trial (DART). Lancet 1989;2:757-61.
of randomized controlled trials. Am J Med 2002;112:298-304.
controlled trials. Fundam Clin Pharmacol 2004;18:581-92.